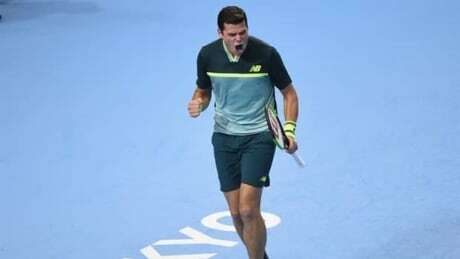 Raonic opened the Japan Open with a convincing 6-3, 6-4 straight sets victory over Adrian Mannarino of France. Corey Davis reminded us all this week why we chase volume in fantasy football. Let’s take a spin around the league to look at every team from all the games that took place and see what we can learn from a fantasy football perspective. Playing it safe with players coming off a long injury absence is usually the prudent approach but Alshon Jeffery bucked the odds today. The Raiders finally got a win Sunday. Yes, they blew another fourth-quarter lead, but they still found a way to come back and beat the Cleveland Browns 45-42 in overtime after starting the season with three consecutive losses. Winning in dramatic fashion at the Coliseum gave the Raiders a huge lift, not to mention renewed optimism after they squandered golden opportunities to beat the Broncos and the Dolphins in previous weeks. After a Week 4 loss, Pittsburgh Steelers wide receiver Antonio Brown walked away during a postgame interview. Jacksonville Jaguars coach Doug Marrone urged his players to improve their turnovers despite their win over the New York Jets on Sunday. Joe Flacco threw a pair of early touchdown passes, Justin Tucker kicked four second-half field goals and the Baltimore Ravens pulled away from the Pittsburgh Steelers 26-14 on Sunday night. Flacco completed 28 of 42 passes for 363 yards and TD passes to John Brown and Alex Collins as the Ravens (3-1) ended a three-game losing streak to their AFC North rivals. Tucker accounted for all the scoring after halftime as Baltimore ended Pittsburgh&apos;s long run of success on Sunday nights. Watch Baltimore Ravens quarterback Joe Flacco&apos;s best throws in his Week 4 matchup against the Pittsburgh Steelers. 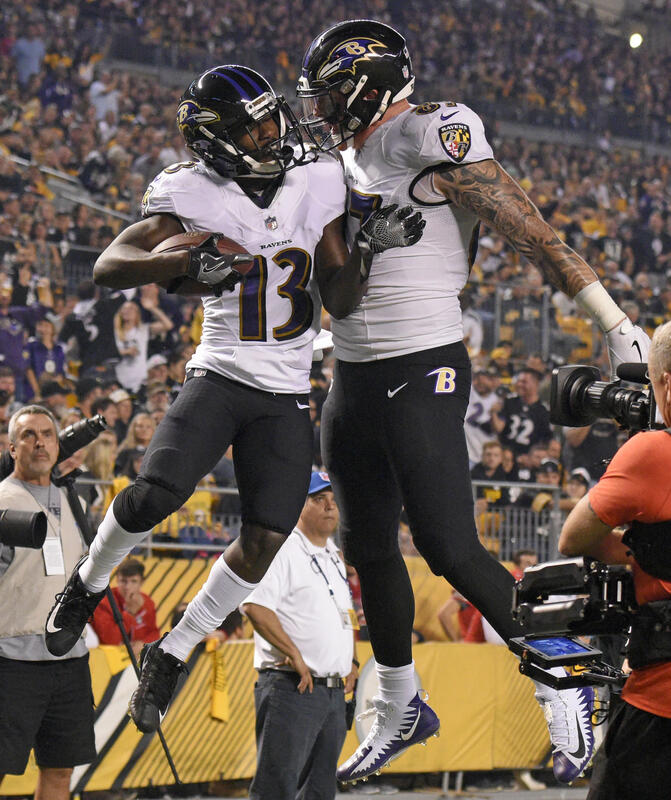 In their clash on Sunday Night Football, Flacco passed for 363 yards and two touchdowns in the 23–14 win, withstanding an early comeback by the Steelers to lead Baltimore to three second-half field goals. Meanwhile, the Steelers’ defense once again looked terrible, having allowed at least 440 yards of total offense in each of its past three games. Pittsburgh sleptwalked through a Week 1 tie with the Browns, got boatraced by Patrick Mahomes in Week 2 and then let Ryan Fitzpatrick throw for 400 yards and get the Buccaneers back into the game in what would become the Steelers’ only win of the season so far. Posted in Pittsburgh Steelers | Comments Off on Are We Witnessing a Regression in Pittsburgh? Baker Mayfield and Josh Rosen both had a chance to pick up a win in their first NFL starts, but neither came away with a victory on Sunday. The Cleveland Browns allowed the Oakland Raiders to score a late touchdown and convert on a two-point conversion to force overtime. Cleveland then had a second chance to pull out a victory when Oakland missed a field goal on their first possession of the extra period. You are currently browsing the Sportspool.com Sports News blog archives for September, 2018.